Many of my students are women who are about to retire or have just retired and want to paint for the pleasure of it and maybe even perhaps work into selling at some point. Most are quite serious painters who have already found the joy of painting in pastel. The problem is time. No matter how much we want to, it’s difficult to carve out time to paint amid a still busy work/home life; the amount of time it takes to really put on some mileage. When I say that mileage is really the key to becoming a better painter, I believe that it’s not just mileage as in aimlessly stabbing away at painting. I think that mileage should be very intentional. Here are a few thoughts when you are trying to maximize your painting time. Pick a size that is not too large so that you don’t have too much ground to cover and work in just that size for a bit. Have several reference photos already picked out, so when you do have time to paint, you already know what you’re going to work on instead of being overwhelmed by the ominous question of what to paint! Work it out ahead by creating two or three thumbnails. This will save time, big time! Time invested in thumbnail sketches will really help you use whatever time you do have to your best advantage. How many times have you found that you had not worked out a composition and then had to either struggle to rectify it, start all over again or even abandon it altogether. Be organized; if your materials are set to go, then when you do have time, you won’t be spending it on finding your stuff. I like having my pastel box pretty organized for this reason too. 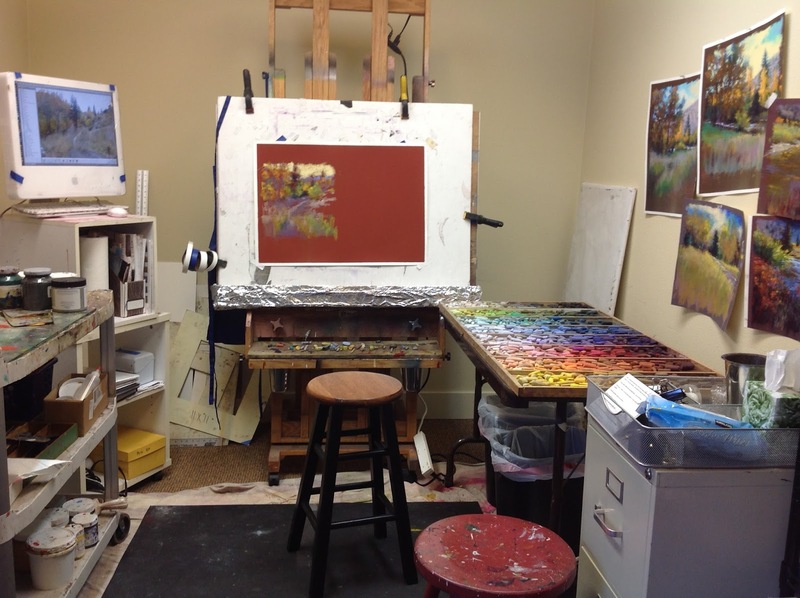 If you are realistic and make things comfortable and easy for yourself, your chances of regularly getting to the easel are good. By making a few simple preparations you’ll set yourself up for more success at gaining that mileage which will ultimately lead to reaching your artistic goals. Hi Marla, just came across your profile through Caren Marie-Micheal. I do my bit in pastels and for someone like me your advice above is truely helpful. And you know why, coz I've been doing all sorts of compositions and for a second, you helped me stop and stabilize.